The other night I had a friend come over for dinner and I wanted to make something good and simple. 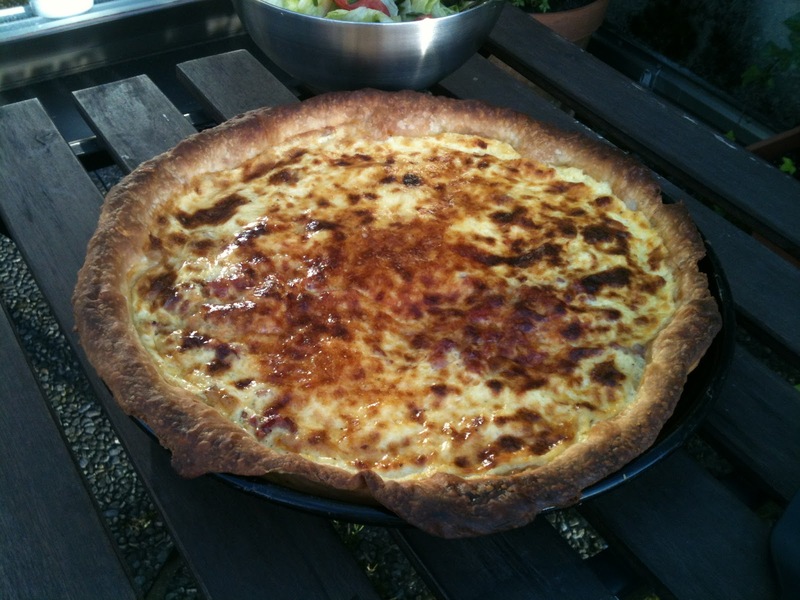 I opted for a nice quiche Lorraine, given that I had all the ingredients required :-) Some eggs, cream, milk, Gruyère and bacon... only good (and light) stuff! I like to make the dough for the crust myself, I think it tastes better this way (and your guests always get impressed). You can prepare it the night before and even freeze it down if you want to use another day. Prepare the dough, put it in the fridge, and while it cools down, grill the bacon. The rest is just about mixing the eggs and cream, and baking the quiche in the oven. I use this recipe as a base for other quiches too, you can easily add less cream and more milk, and remove the Gruyère to make a light dish. You can also use ham instead of bacon! 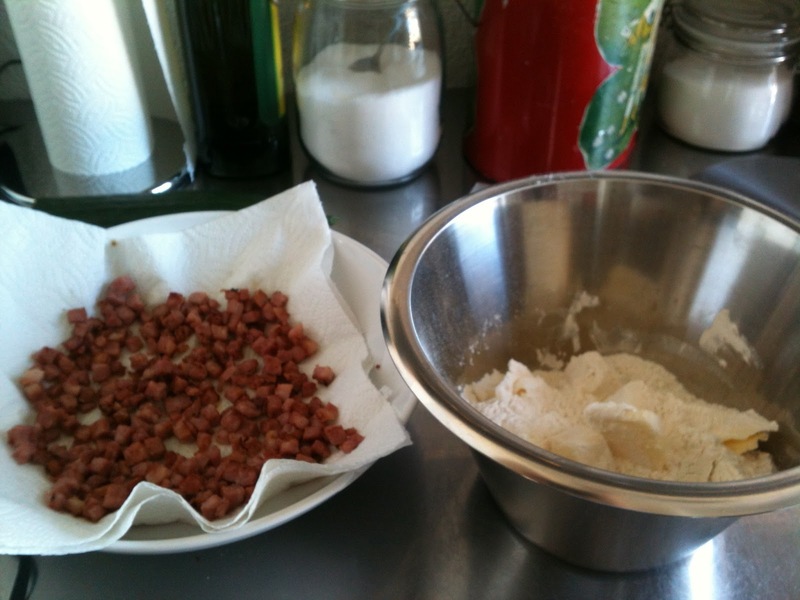 In a bowl mix butter, salt and flour with your hands and make crumbs. Add the cold water and mix fast with a wooden spatula. The dough should not be too sticky, leave it in the fridge for about 30 min. 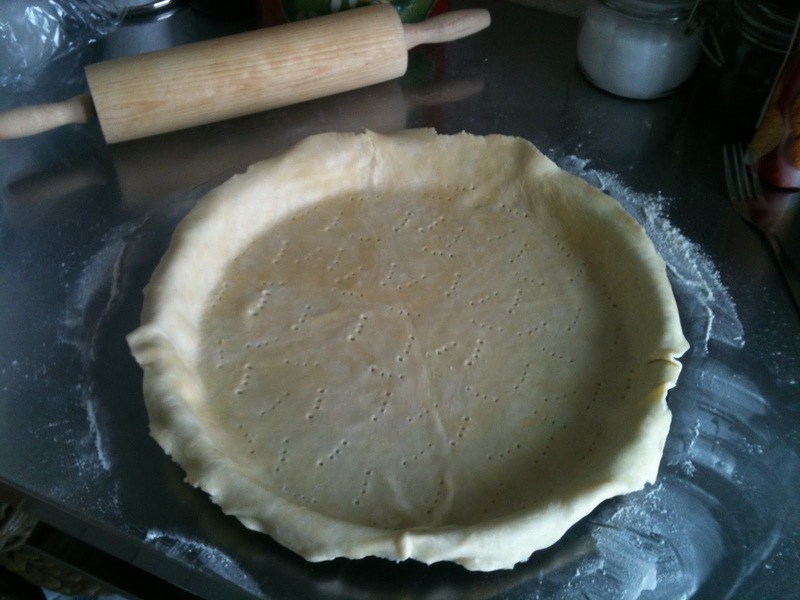 Prepare a big tart pan with butter and flour. Roll out the dough on a floured table and transfer to the form. Bake in the oven 8-10 min at 225 C.
In a frying pan, grill the bacon cubes so they become golden. Let them cool down and remove the fat with some kitchen paper. With a whisk, lightly mix the eggs with the cream by adding one egg at a time. Add the milk, pepper and nutmeg. No need for salt since the bacon is already salty enough. 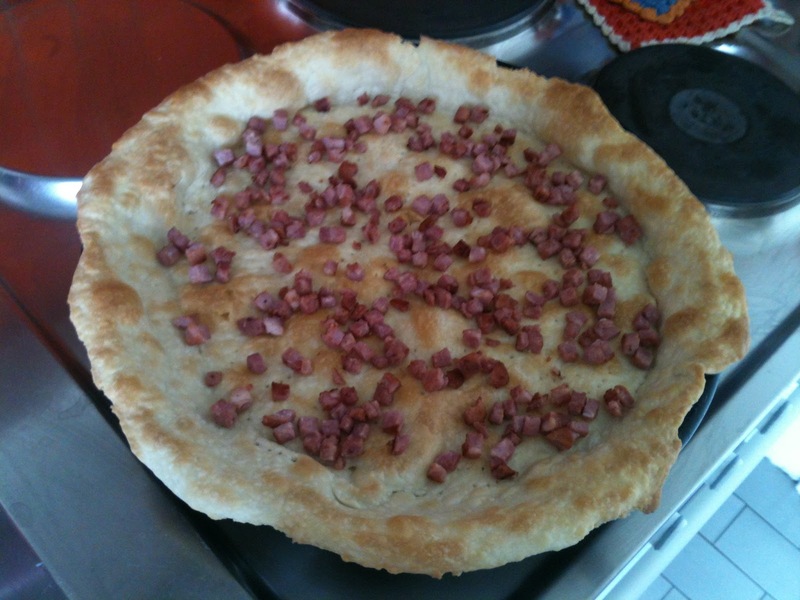 Spread the bacon on the baked dough and pour the cream mix on top. 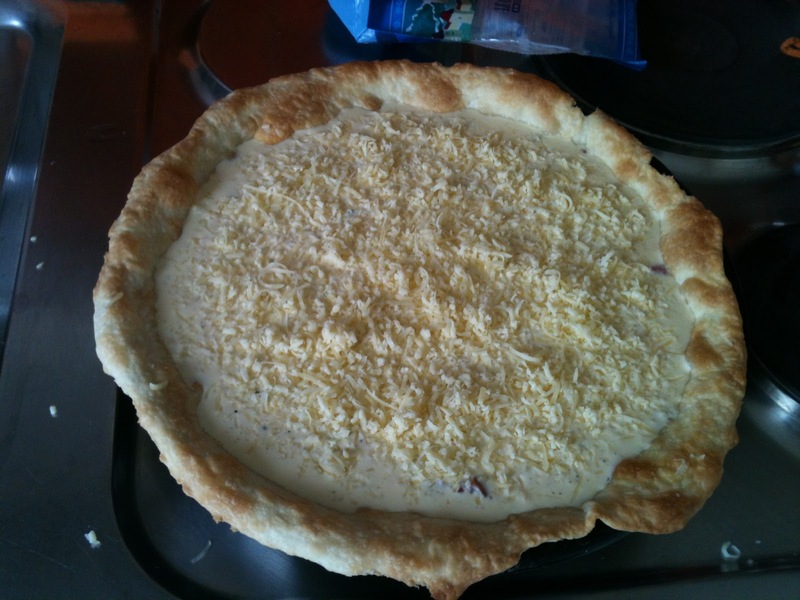 Sprinkle grated Gruyère on top and bake in the oven 25-30 min at 225 deg. Serve with a salad and it will make for a perfect meal! 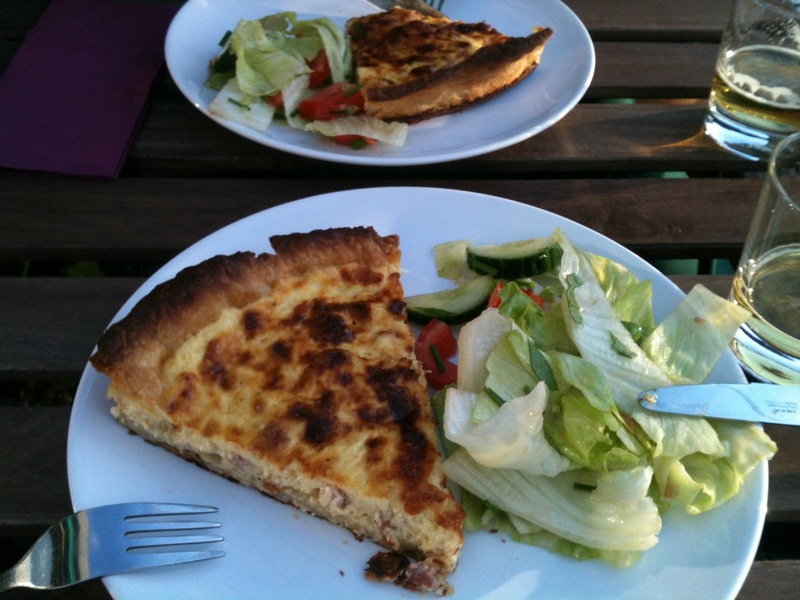 Bon app! It's always a big pleasure to eat at your home! I loved it.